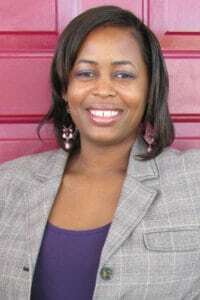 Dr. Daphney Lundi earned her PhD in Marriage and Family Therapy at Nova Southeastern University in Davie, Florida. Dr. Lundi started her career as a Part-time Professor at South Florida Bible College and Theological Seminary in 2017 and is currently the Department Chair for the Master of Arts in Pastoral Counseling program. Her career experiences include being a school counselor in a predominantly Haitian and Haitian-American populated school setting. As a School Counselor, Dr. Lundi’s responsibilities involved providing systemic consultation between staff, parents and outside entities in addition to counseling students. Prior to being a school counselor, Dr. Lundi was a high school teacher in an urban school setting where her love for counseling was first developed. Other experiences include counseling at-risk youth through the Broward County P.R.O.M.I.S.E program as an intern, supervising master’s level interns as a Graduate Assistant and supervising master’s level practicum students as a Teacher’s Assistant. Specific areas of expertise include conflict mediation, marriage and family therapy, systemic collaborations, treatment planning and implementation. Dr. Lundi is also an ordained Elder at Tabernacle of Faith Praise and Worship Center (TFPWC). As a Minister of the Gospel at Tabernacle of Faith Praise and Worship Center (TFPWC) under the leadership of Bishop Andrew Wells Sr. and Pastor Andrew Wells Jr., Dr. Lundi is interested in community outreach, community building and ministering to those in low economic areas. As a faculty member of South Florida Bible College and Theological Seminary, Dr. Lundi hopes to be an instrumental part in the college’s mission of preparing men and women for ministry to serve Christ and His Church.